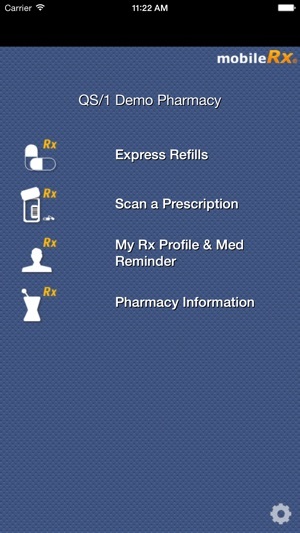 QS/1’s mobileRx allows pharmacy customers access to prescription refills through their smartphones. mobileRx allows prescription data to be downloaded to the phone and submit refill requests electronically when they are due. 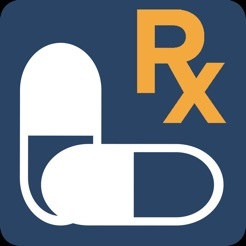 Once a prescription is submitted through mobileRx, the filling process begins immediately. * Please note this app does not work with all pharmacies. Please check with your pharmacy to see if this app is supported. This app is great for what I need it to do. It communicates with my pharmacy. I really like the phone I have, it works well for me, and I have what I think is a good working relationship with my pharmacy. I do have a higher-end phone. I have not tried to take a photo of my bottle with the app or use it in that manner, but just ordered my first prescription with it the other day. It noted that there might be a delay. I checked the prescription on the app a couple of days later and noticed it was filled, and double-checked with the pharmacy, and indeed it was. I tend to forget the time and want to do things after or before business hours and I look forward to being able to use this app more. It sure beats having to wait until the morning to call into the pharmacy, then maybe have to wait on hold. I have a lot more patience than I used to have, but it still doesn't mean that I enjoy waiting on hold, you know? When I first downloaded the app on my iPhone 6S it worked fine. Today, it stopped letting me logon saying my credentials/password was invalid. I tried changing my password twice...despite getting messages that my password was successfully changed, still got the same “invalid credentials” message. So I deleted the app, then re-downloaded...4 Times! Each time, got a message “Error - unable to register this device. Check internet connection. I GIVE UP!!! Nothing really works right. It crashes every time it reads a barcode, and I currently haven’t been able to submit a manually entered subscription for days. I ordered one refill with it once, but the ui is so terrible I wasn’t sure if I had or not until the pharmacy texted me to say it was ready. This app is straight garbage.